Who is Elegant And Handmade? Elegant And Handmade is a professional virtual staffing company that specializes in Virtual Networking opportunities that offer employment seekers a better work-life situation. As work-life balance continues to be top priority, and as companies continue to innovate and become more global, the petition for talent and creative solutions are in greater demand for outsourced contractors. How is Elegant And Handmade llc able to provide work at home opportunities? Elegant And Handmade has partnered with Arise Virtual Solutions. This relationship allows us the opportunity to provide work at home opportunities to Independent Contractors. Arise has been a Better Business Bureau (BBB) accredited business with an A+ rating since 2005. Elegant And Handmade contracts individuals seeking work at home employment opportunities without having to incorporate a business. Do I have to be a US citizen or a legal resident to participate in this opportunity? Yes. You must be at least 18 years old and legally reside in the United States. Please note that the states of California, Connecticut, Maryland, Massachusetts, New York, Oregon and Wisconsin are currently closed for outsourced opportunities. What experience do I need to become a Client Support Professional before I apply? Successful agents tend to have a combination of a clear speaking manner with a self-motivated desire for good customer service. Agents also need to be PC literate. Experience in customer service is definitely a plus, but is not required. Some clients do have sales positions, in which sales experience is recommended, but is also not required. Training varies by client and can run anywhere from 5 days to 4 weeks. What type of services will I be providing? As a Client Support Professional (CSP) you choose the client you wish to service from one of our many top nationwide companies. 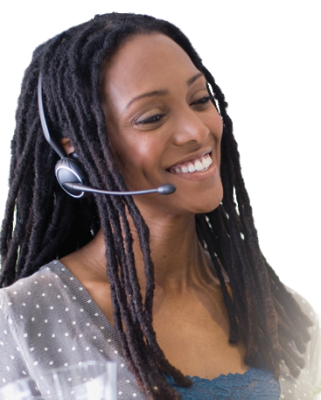 The work typically consists of taking inbound calls (minimum outbound calls may be necessary) involving customer service, sales or technical support. There are chats and email opportunities also available but those are rare and fill up quickly (they are offered to top performing agents). The hourly pay rate varies by client and ranges from $9 to $15 per hour. Some clients offer sales and incentive bonuses. Earning’s will fluctuate depending on the amount of hours you service, amount of calls answered, transaction processed or the amount of minutes you service which is determined by client. Are there any taxes deducted from my revenue? No taxes are deducted from your earned revenue. Your contractual obligations will be as a 1099 independent contractor, so you will be responsible for your own taxes. 1099 Form are administered in January, so please consult your tax advisor regarding your annual tax obligations and all the tax benefits you will receive as an independent Contractor. Why am I paying for the certification and client training? You are not an employee of Arise or Elegant And Handmade. You are a self-employed sub-contractor. As an independent worker; you are required to pay for the training necessary to perform in that capacity. You also pay your own taxes and at the end of the year you would be issued a 1099 to file. Yes, outside of your initial training investment there is a bi-weekly administration fee of $39.50 to Elegant And Handmade, a fee of $19.75 that covers your access to the Arise Portal (which includes VPN, Arise University, Invoicing etc.) Elegant And Handmade's goal is to provide you with maximum resources at the lowest rate possible. Your fee will never increase no matter how much income you generate. Can I work in any state? No, Arise has some restrictions. We are not offering opportunities for the following states: California, Maryland, Connecticut, Massachusetts, Oregon or New York.